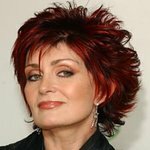 Sharon Osbourne is expected to attend the 2011 Women’s Guild Cedars-Sinai Medical Center Gala, which will honor Edward Phillips, MD and the 10th Anniversary of the Saul and Joyce Brandman Breast Center — A Project of Women’s Guild at the Samuel Oschin Comprehensive Cancer Institute. The event will feature a dinner and special performance of Cirque du Soleil’s Iris: A Journey Through the World of Cinema, and take place on Saturday, October 29, 2011 at the Kodak Theatre, Hollywood. The evening is chaired by board member and Executive Vice President of Women’s Guild, Gina Furth. Edward H. Phillips, MD, FACS, is the Director of the Saul and Joyce Brandman Breast Center. Dr. Phillips has practiced surgery at Cedars-Sinai for more than 25 years and is considered a leading practitioner, clinical researcher and authority on diseases of the breast, as well as laparoscopic surgery. He was the first to perform therapeutic micro-endoscopy of the mammary ducts and holds nine U.S. patents in the field of surgery. The Saul and Joyce Brandman Breast Center – A Project of Women’s Guild at the Samuel Oschin Comprehensive Cancer Institute has provided a full range of the most advanced healthcare services for breast cancer and other breast–related diseases for more than 10 years. Dedicated to breast health, the center focuses on prevention, diagnosis and treatment of all types of breast-related disease. Patient education, cancer screening and genetic risk assessment and risk reduction are key components of the program. In addition to oncologic and plastic reconstructive surgery, physicians are expert at treating common as well as rare and complex cases of breast cancer, specializing in minimally invasive surgical procedures. The Breast Center is also a leading center of research on new methods of breast cancer detection and treatment.